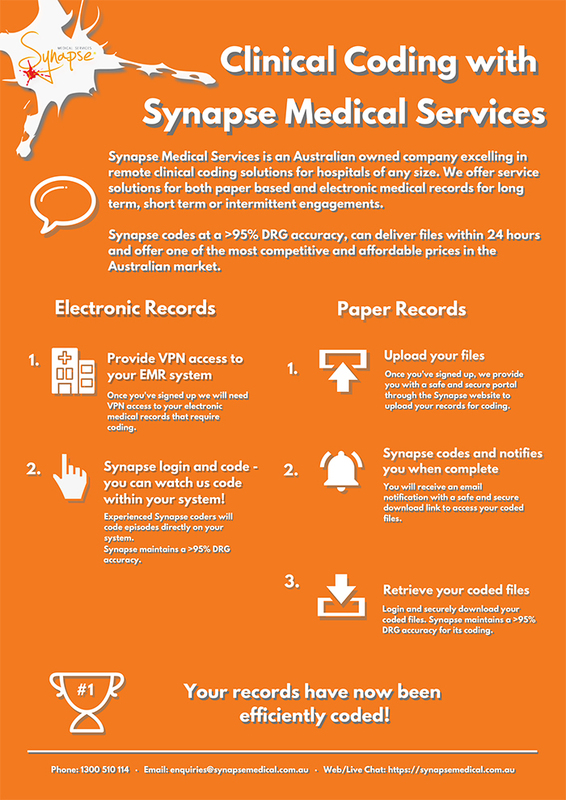 Synapse Medical Services is an Australian owned company excelling in remote clinical coding solutions for hospitals of any size. We offer service solutions for both paper based and electronic medical records for long term, short term or intermittent engagements. To learn more about our clinical coding service click here. To speak to someone about your clinical coding needs contact us here. To download a copy of this information click here.